It was with much dismay that I read the report ‘Blogger ordered to pay PM 150k in damages’ in the Straits Times of 18 December 2015. 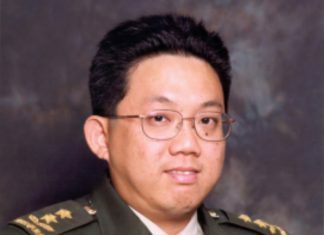 I was less struck by the specifics of a court case that Singaporeans must have been following with great interest over the months – the standpoints taken by the contending parties, the various judicial processes, the assessment of damages to be paid to the plaintiff – than by one stark fact: once again, Sir, your powerful government is putting to use its most powerful instrument for silencing critics, namely, the defamation suit. In such a celebratory climate of amity and unity, the continuing use of a political tool that Singaporeans have come to associate with the least attractive, nay, the most repulsive aspect of PAP rule, must surely inject a discordant note. 1) While D will always project the image of an insecure, hypersensitive and over-reactive government, M can transform that image marvellously, to make it match the high expectations of a dawning new era. The reason is that M is unique in being not just a single attribute, but a whole constellation of those very qualities that mark great leadership. A primary quality is grace , that rarity of human disposition that has enough breadth, depth and expansiveness to override all mean and petty concerns, and even matters of practical, functional and legalistic value , to clear the path for the larger workings of spirit. Strict convention gives way to an embracing liberality and formal correctness is replaced by empathy and compassion, in this way defining the truly gracious society that had actually once been a Singaporean dream. Another component of M is an enlightened creativity. For it is ready to abandon the solidly rational , well-tried and success-guaranteeing path of D, to create new paths, in which imagination and intuitive feeling also have a part to play in the discovery of new options for dealing with fractious elements in society. Yet another, and arguably the best quality of M is courage because the new option it is trying out could mean taking major risks. There is the risk, for instance, that the recalcitrant critic may reject M’s overtures of dialogue and reconciliation , or even exploit them for his own purposes.There is the risk that the public may interpret M as a sign of weakness in a leadership reputed for its toughness, and accordingly react in a negative way. Grace, enlightened creativity, courage. What better time than the present period of historic transition for you and your colleagues,Sir, to be exemplars of these qualities for an entire nation of Singaporeans long used to looking to you for guidance. 2) Perhaps the group of Singaporeans who will benefit most by this guidance is the next generation of leaders who have already been lined up and are being groomed for their future role. Always looking respectfully to their seniors in the ruling party to set the tone for leadership and continuity, they will surely perceive the unremitting use of D as an unquestioned, immutable aspect of PAP strategy for dealing with dissidents. Hence they will have no choice but to accept that D, like its companion the ISA (Internal Security Act) must be kept intact, to serve PAP interests, through each succession of leaders. But the reality, as everyone is aware of, is that the Singapore which the younger leaders will inherit five years, ten years from now, will be a vastly different and more complex society, as can be predicted for a small nation state constantly subjected to the fluxes and upheavals of a rapidly changing world. That world is inexorably moving in the direction of greater involvement and participation by the young who are exponentially empowered by the revolutionary Information Age of the Internet and new technology. In Singapore, the new leaders can expect to deal with even bolder, more aggressive young Singaporeans who are unlikely to be daunted by the threat of D; indeed, they may even bait it for its populistic appeal at home, and the media attention it gets from abroad. Troublesome as they are, they must still be accepted as part of a society in the world of practising democracies into which Singapore is securely plugged. Indeed, Singapore which prides itself on its national slogan of ‘An Inclusive Society’ where everyone has a place and will be cared for, must see the need to find ways to re-integrate them into this caring society, other than rely on the quick administration of D to punish them for being misfits and law-breakers. 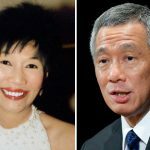 If, for the first time in Singapore’s political history, the PAP leaders break away from precedent , and decide to give M priority over D, they will in effect be setting another precedent: giving the nod to their successors to try a completely different approach in dealing with the voices of dissent and confrontation. The result will most certainly be a totally new strategy that will be marked by openness and flexibility, which will thus be more attuned to the challenges and demands of a new age. The long term result may well be the emergence, at long last, of a mature, broad-minded, introspective, self-critical and ultimately self-regulating society. 3) M may be the only solution to a problem that has been around for nearly 50 years. 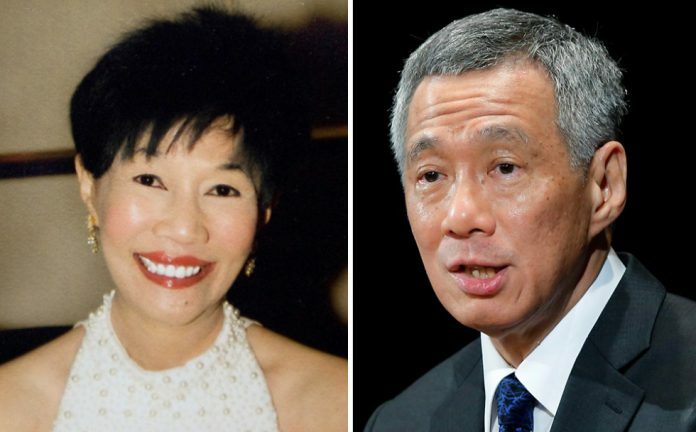 For the stern and relentless use of D over such a long period has created, for many Singaporeans, the perception of a vicious cycle of nasty, highly predictable events : Critic makes Government angry, Government sues Critic, Government wins outright, Critic pays huge damages, Critic is ruined. If Critic doesn’t learn his lesson, the cycle starts all over again. Underlying the rough humour of this simplistic narrative, is the cynical innuendo that the PAP invariably wins because it has the unquestioned support of all the institutions, resulting in an incredibly unlevel playing field.The image of the huge PAP juggernaut ranged against its small, helpless adversary can only provoke strong emotions of resentment, anger and frustration which the anonymity of the Internet allows to explode in alarming vitriol. Only a very large dose of the antidote M can break this toxic legacy. Sir, it is time to retire this noxious instrument of control. For what’s the use of winning in a court of law and losing in the court of public opinion?